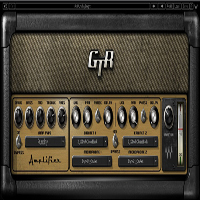 Inspired by legendary amplifiers from Fender® Marshall®, Mesa/Boogie®, Vox® and others, GTR3 brings you the very best vintage and contemporary amps – in the box! All Waves plugins support 44.1 kHz and 48 kHz; most support higher sample rates. Avid VENUE supports up to 48 kHz. The table below indicates how much latency is produced by each plugin, in samples. Not all plugins support all platforms (MultiRack, StudioRack, eMotion, Venue). Check the Supported Platforms table for more info. - USB displays are not supported as the primary display. Your guitar. Your computer. And GTR Solo. It's all you need to take the lead.